Turning on the light switch is no longer just about function. From the floor lamp in the corner of the room to the chandelier hanging from the middle of the ceiling, lighting will no longer take a back seat to the throw pillows on your couch or the hand-carved sculpture that graces your mantle. In the last few years, artisans have shifted their focus and their talents to creating works of art that literally light up the room! This is especially true in the Modern Decor world. Whether you are going for retro funky or classic sophistication with a contemporary twist, Modern Digs has an extensive collection of eclectic fixtures for your ceiling. Love the disco era? 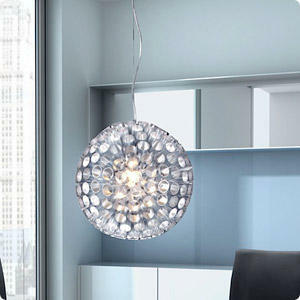 You can bring Boogie Nights into your living room with the Colfax Pendant lamp - a new spin on the 70s disco ball. Perhaps you are looking for more of a romantic feel. With fixtures like the Bradbury Pendant lamp and Colma ceiling lamp, you can achieve the perfect fusion of formal elegance with contemporary "shaded" chic. 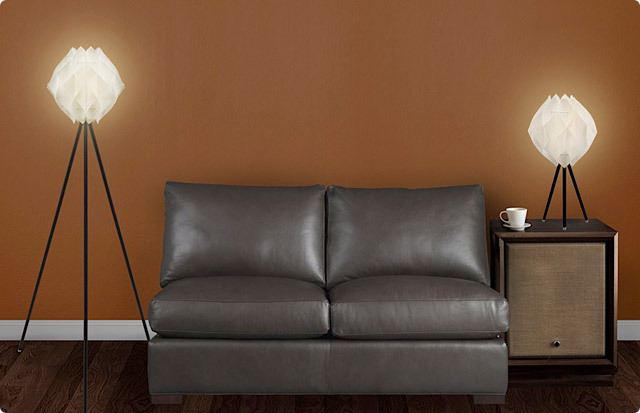 Floor lamps may just be the stand-up comedians of lighting - whimsical, fun, multidimensional and full of personality. The Ibis Arc, Serpentine and Spalding floor lamps, for example, demand your attention when you enter the room and leave you with a smile on your face. Perhaps more quirky than witty - the Obelisk, the 1960 and the Tusk floor lamps amuse with their unusual shapes and provocative designs. If floor lamps are comics, some table lamps play the role of sidekick. Take a look at the YIKES! 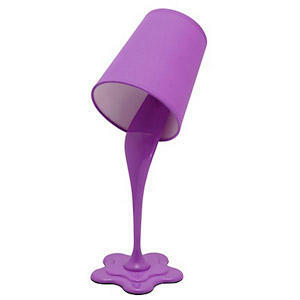 Table lamp - appearing front and center in 6 different colors (including hot pink), this lamp moonlights as an illusionist. Designed by an artist with a unique sense of humor, the fixture looks like paint spilling out of a can - oops! If you have a little bit of "Trekkie" in you and you want to express your futuristic style - the Super Nova, Pulsar and Klara table lamps are just the fixtures that will "beam you up". From ceiling to floor, Modern Digs can help you choose the perfect lighting fixture for your style, personality and unique home decor.